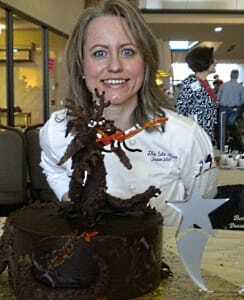 The Cake Diva’s ‘Year of the Dragon’ won BEST CHOCOLATE DESSERT at the 2012 Taste of Chocolate competition in Bloomington, MN. 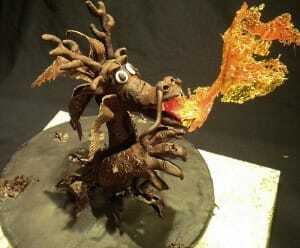 The Cake Diva designed the dessert with the Year of the Dragon as her theme. She designed the cake components to compliment the dragon theme layering a Chocolate Five Spice Cake with Chai Tea Buttercream and Five Spice Chocolate Ganache on a Praline crunchy base. The judges enjoyed the delectable combination, as did the visitors to the show. The Cake Diva is proud of her original design, and continually challenges herself to create the most unique, flavorful desserts in the Twin Cities.